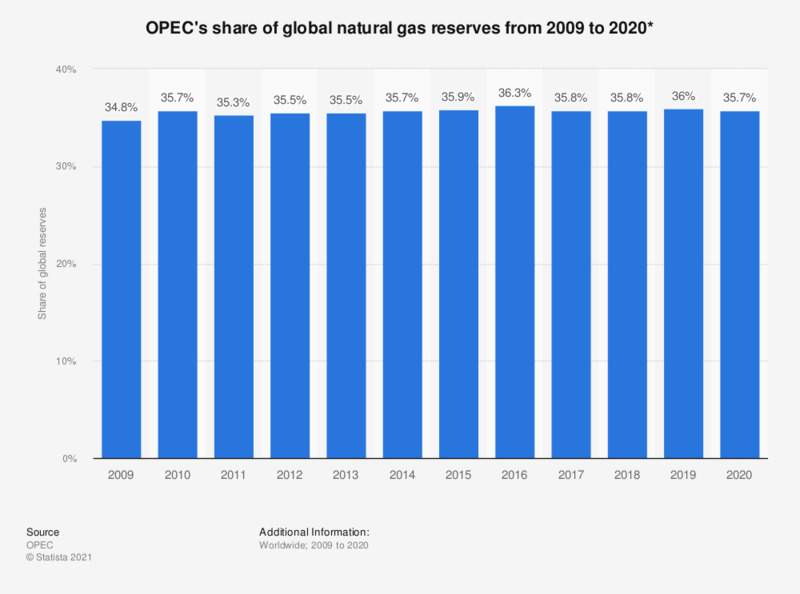 This statistic depicts OPEC's share of global natural gas reserves from 2009 to 2017. In 2009, the OPEC countries owned 48.3 percent of the total natural gas reserves worldwide. This percentage remained relatively stable, with a slight increase up until 2016. * Figures as of year-end. Revisions have been made throughout the time series.